Ori Ansbacher's mother speaks about the pain she is experiencing since her daughter was murdered. 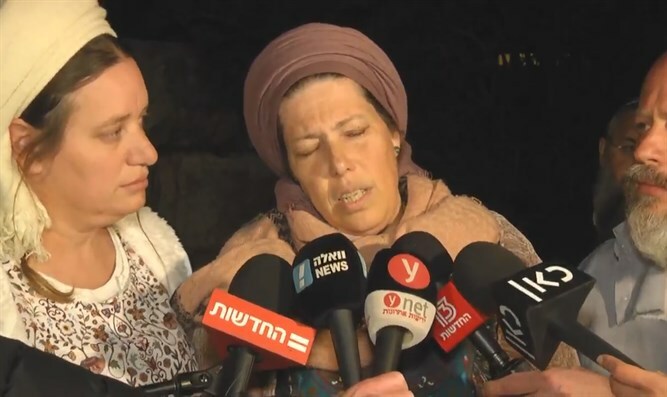 Ori Ansbacher's mother spoke with the media on Saturday evening about the pain she is experiencing since her daughter was murdered last Thursday. "Ori was beautiful on the outside and inside. A gentle soul. She lived a full life," said Na'eh Ansbacher. "She had so much love for this land. She always wanted to see, to see, to write songs, and when she walked on this land with confidence, this kind of evil came and took her away from us," she added. "She wanted to fix the world for good... she spoke a lot about compassion, how much she wanted to be compassionate, she loved national service very much," said the bereaved mother. Ansbacher, a national service volunteer, was murdered on Thursday in the Jerusalem forest after she had gone on a short walk. The suspect in the murder, 29 year-old Arafat Arfiah, had been arrested twice in the past and even served time in Ofer Prison. The interrogation revealed that on Thursday morning Arfiah left his home in Hebron carrying a knife and made his way to the village of Beit Jala. For an unknown reason, he walked toward the Ein Yael forest, where he noticed Ori Ansbacher, attacked and murdered her.